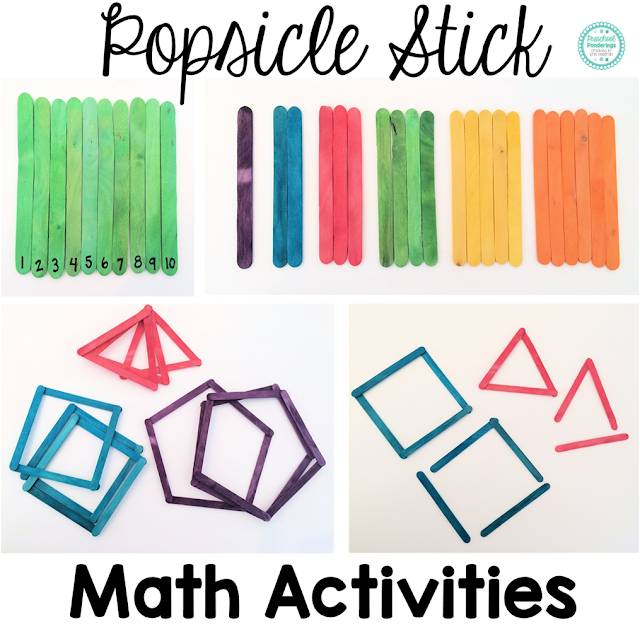 The activities that I have to share with you today are all made with one package of colored popsicle sticks. 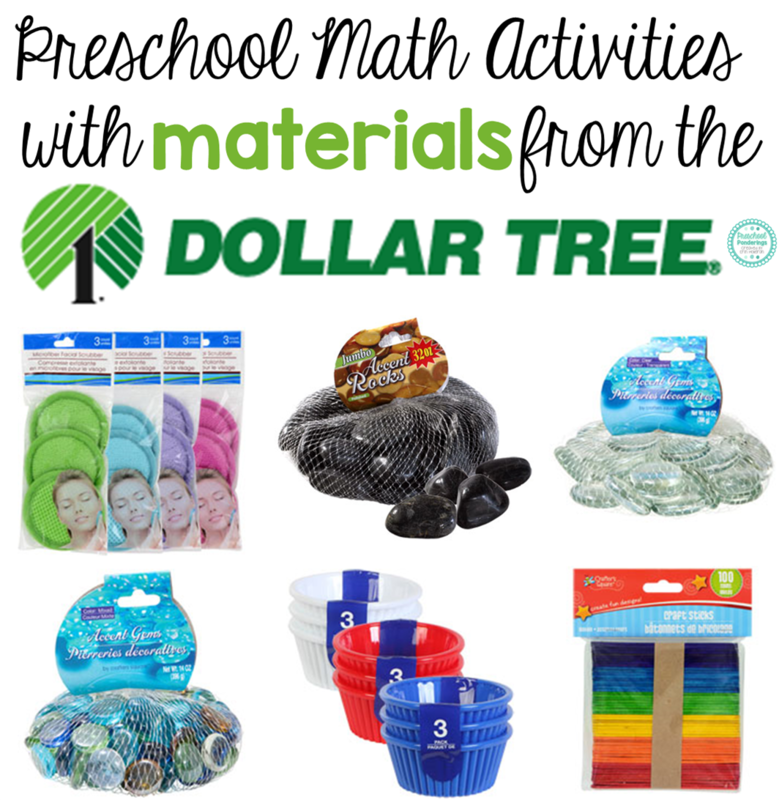 There are so many things that you can do with popsicle sticks, the colors just make them more fun! For this activity I used the popsicle sticks to make different geometric shapes, then I gave the children popsicle sticks and ask them to recreate the shapes. 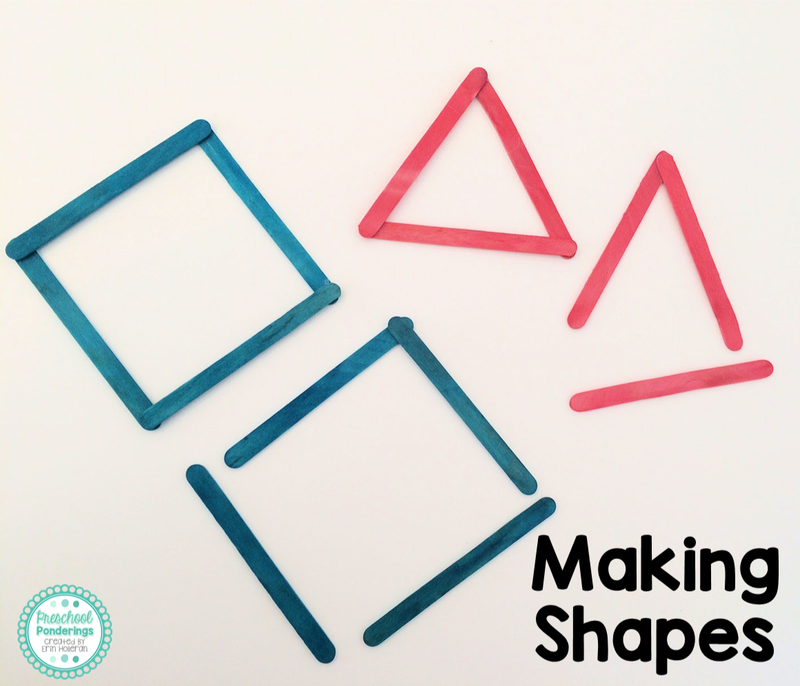 To practice shape recognition I made multiples of each shape (in corresponding colors) and then askd the children to find all of the triangles, squares, etc. It is a very simple activity, but it's great for shape recognition, and after they match them you can see if they recognize that all of the same shapes are also the same colors. 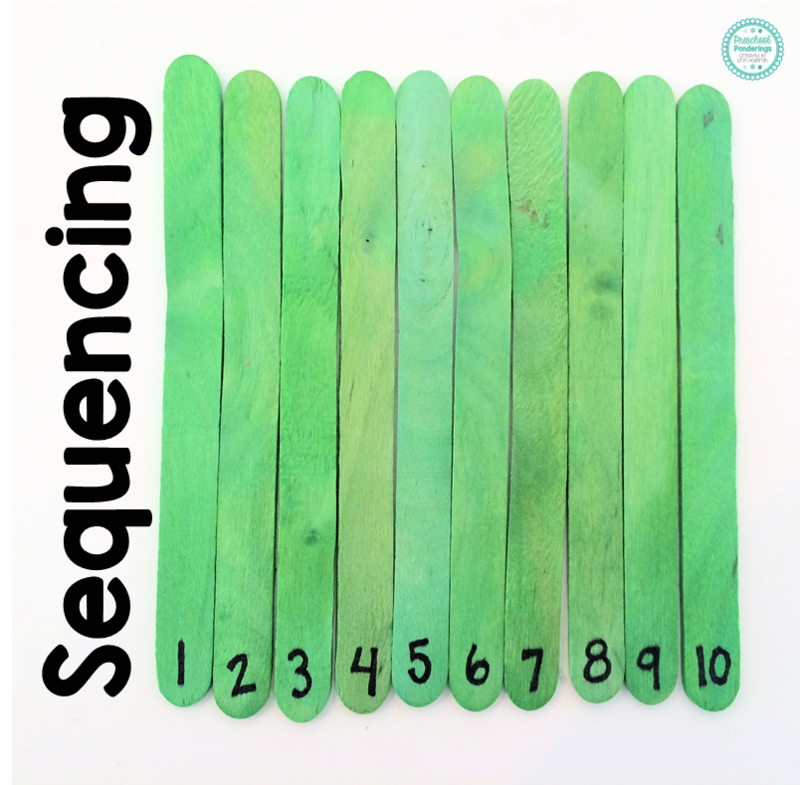 I love how simple this sequencing activity is. I just wrote the numbers on the bottom of each popsicle stick, and then asked the children to put them in order. I've also seen this done where you draw a picture on the popsicle sticks so that the children can put it together like a puzzle. 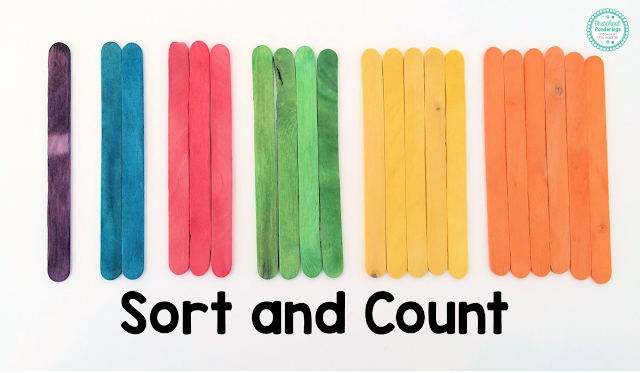 This sort and count activity couldn't be easier to put together. I chose one purple, two blue, three red, four green, five yellow, and six orange popsicle sticks and put them in a small bucket. The children had to sort them by color, and then put them in order by how many of that color there were. 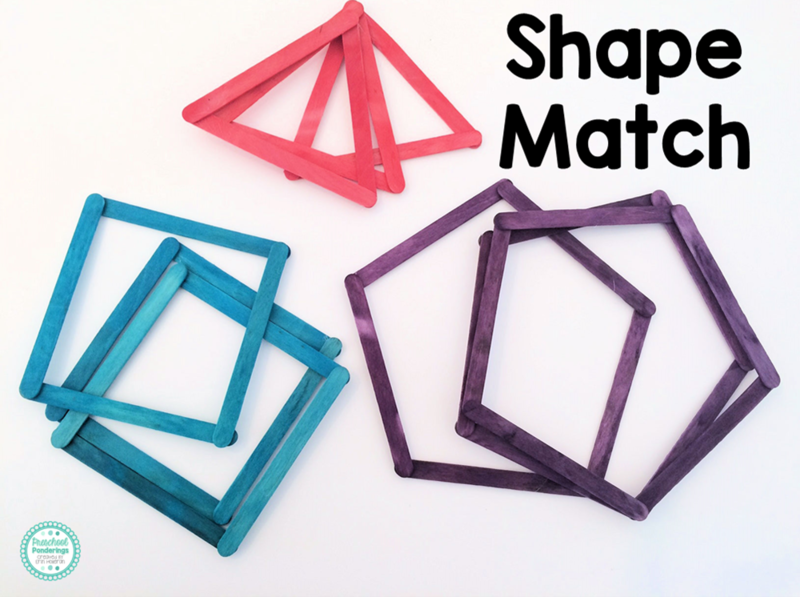 There are only 6 colors in this set of popsicle sticks, but you could color plain popsicle sticks with a permanent marker for additional practice.